The academic life of a student is full of challenges particularly when it comes to submission of assignments. In most cases, students have to work on multiple assignments at the same time. They face issues when the deadlines are close and they have to manage multiple writing tasks. Working on a college or university assignment is not an easy task by any means. You need to start by accessing different online sources and collecting information. Once the information has been compiled, the process of paraphrasing has to be done. It is not possible to work on multiple rephrasing tasks at the same time. As a student, if you want to get good grades, using the correct writing tools is the key. Make sure that you are using the correct and best content writing tools to reduce the level of stress and workload. 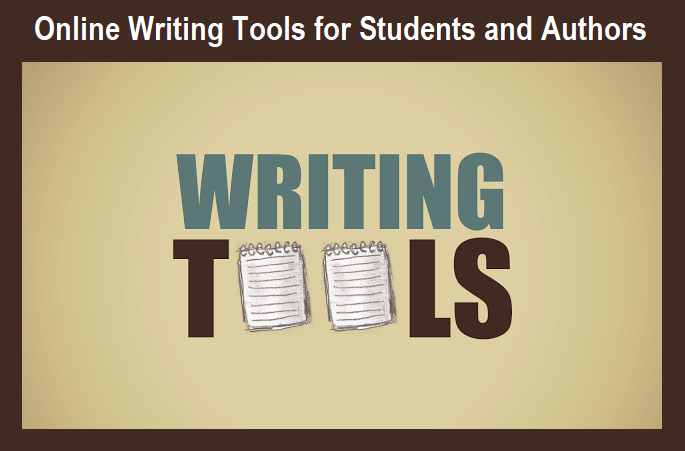 The top five best tools for content writing which help students and authors are listed below. The Word changer tool by Prepost SEO is an amazing option for students. It is very easy to use and completes the paraphrasing tasks in a quick manner. Even if you have to paraphrase lengthy content, this tool would meet your needs without any problem. • To get the content paraphrased, you simply need to select the text and paste it in the text box provided. The other option is uploading a document directly. There is a browse button through which you can select the document to be paraphrased. If you have a PDF document, it can be uploaded for paraphrasing as well. In case of a PDF document, students face issues and have to depend on low standard converting soft wares. With the Prepost SEO tool, this problem does not exist. This tool supports various document formats namely .txt, .doc and PDF. • The Prepost paraphrasing tool is completely free and you do not have to work with trial versions. This is a problem with most paraphrasing tools. They offer trial versions to the customers and then they demand payments for continuing the usage. With the Prepost SEO tool, you can use all the features without paying for anything. • The tool is online and you do not need to spend time on unnecessary download links. It is a cumbersome process for students to download soft wares and then use them. This problem certainly does not exist with the Prepost SEO Tool. It is completely online and does not require any installations. Google Docs is a quality tool for document creation and collaboration. In the present time, students, as well as working professionals, have to work in a coordinated manner. For instance, if one team of a company has to create a presentation, it would need to coordinate and produce one presentation. Google Docs is a good option for fulfilling this requirement. • With Google docs, you can create presentations, spreadsheets, and word documents as well. In addition to that, the collaboration process is quite simple. All you need to do is share the document with a particular user and allot required permissions to him. For instance, if you want a specific user to only view the document and not perform any editing tasks, the required permission level can be awarded accordingly. Office 365 has a similar framework like Google Docs. It is a cloud-based tool through which users can create, save and share documents through the cloud-based environment. No need to save any offline copies because all changes are saved in real time in One Drive. This tool allows you to access your documents from anywhere at any time. If you have a proper internet connection, you can create, edit and share documents from anywhere. If you have a look at the key requirement in corporate organizations these days, teamwork and collaboration are very important. Multiple users working on the same document. For instance, if a team of marketing professionals has to work on a product presentation, office 365 would be a suitable tool for them. This tool basically works on the improvement of writing skills for students. When students start their college or university academic phase, they are expected to have top-notch writing skills. It is not possible to work on academic assignments, research papers and essays if you lack quality writing skills. • Quill provides students with a list of lessons through which they can polish their writing skills in quick time. The learning process is divided into lessons so that you can work on each individual weakness. For instance, a lot of students struggle with sentence fragmentation and combination. With Quill, you can learn the concept and then get tested in the form of simple activity. Similarly, there are tailor-made lessons to entertain other writing issues. • Quill is a good tool for teachers as well. They can use the tool to create tests and check the skills of students. It provides with a proper score that each student gets in each testing area. It helps teachers to highlight the weaknesses of each student. Boom Writer is a good tool for students who are serious about polishing their writing skills. For any student, it is impossible to complete the academic life without having quality writing skills. Boom Writer caters to various requirements. For instance, students can vote for publications that impress them in an anonymous manner. • Boom Writer help students in improving their writing skills on a major scale. As a student, you can even take the writing abilities to the level of a professional author. • Based on the performances of each student, they are awarded by an improvement in their avatar. In an overall manner, this tool develops writing skills in an interactive manner. • One of the key features of this tool is a proper grading system. This benefits teachers who have to work day in and day out to come up with a testing system. If you are using Boom Writer, you do not need to do so. It has a full scaled grading system through which you can test and grade the whole class.